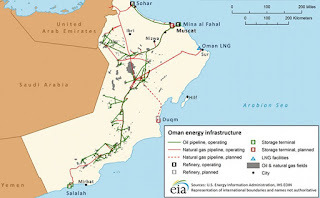 Petroleum Development Oman (PDO) exists and comprehensively runs developments overall the landscape of the OMAN, It is a flag ship leading oil&gas company. We all heard about the beauty of the landscape and terrain, and above all the people of Oman, but did you have the chance to go and collaborate with Omanis in their ongoing high scale entrepreneurship? Well, Compass Control Systems, along with its Systems integration Partners, did carry a nice project in IBRI. The Project was so success, that it managed to deliver pure water to the facilitates operating in that area. Dubal, A world leader in producing aluminum, with state of the Art facilities and Top Notch management, located in the middle of new pearl of the middle east Dubai. Not Only does Dubal produce Aluminum, but also other products, and one by product, is fresh water. Being the leader, renowned for efficiency, Dubal makes use of this vital product, most important for humanity, it uses it and export it to the local market. Tucks from all over the emirate, and from other emirates, visit DUBAL as a convenient solution to fuel their fresh water trucks, with water. Every Day hundreds of trucks line up on an organized queue to collect their sum of water.